Discover the best of New England at this Manchester hotel- close to Manchester Regional Airport and the Loudin Speedway. 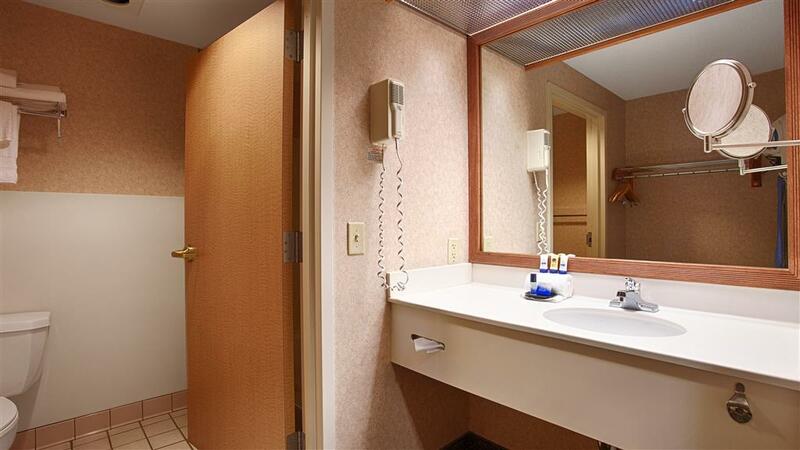 The Best Western Plus Executive Court Inn & Conference Center is ideal for both business and leisure travelers. Guests staying at this hotel in Manchester will enjoy friendly customer service and an array of amenities at an affordable rate. This hotel in New Hampshire is a short distance from the Verizon Wireless Arena, the Christa McAuliffe Museum, Gill Stadium and the Charming Fare Farm. Visitors looking for something to do in Manchester will be close to the White Mountain Region ski area, local golf courses and Hampton Beach. This Manchester New Hampshire hotel offers spacious, well-appointed guest rooms and suites including kitchenettes, complete with microwave, free wireless high-speed Internet access and cable satellite television with HBO . Guests will wake each morning to the aromas of a delicious complimentary full hot breakfast. Additional amenities at this Manchester inn include an indoor heated swimming pool and hot tub, fitness center, airport courtesy shuttle and game room. Corporate travelers staying at this New Hampshire lodging will love the onsite business center and meeting facilities-perfect for family reunions and weddings! Pets are welcome with restrictions. For a fun-filled stay in Manchester, New Hampshire stay at the Best Western Plus Executive Court Inn & Conference Center. Pool will be closed April 8 22, 2019 for remodeling. We apologize for the inconvenience. Masa Hibachi: 2.00 mile(s) from Masa Hibachi, full service, Japanese, open for: lunch, dinner, Hibachi grill with excellent sushi selection. British Beer Company: 2.00 mile(s) from British Beer Company, pub, American, open for: lunch, dinner, great pub food with a huge selection of beers on tap. The Yard Restaurant and Lounge: 0 mile(s) from The Yard Restaurant and Lounge, full service, American, open for: lunch, dinner, The Yard features an excellent Sunday brunch. Don't miss out on this local favorite! From: Interstate 93. (north or south) Take Exit 5. The Best Western Plus Executive Court Inn & Conference Center is three miles north on Route 28. From: Interstate 293. Take Exit 1. The Best Western Plus Executive Court Inn & Conference Center is two and a half miles south on South Willow Street. From: Airport. Exit terminal to Perimeter Road, at the end of perimeter (lights) take an immediate right onto Route 28 south (South Willow Street). The Best Western Plus Executive Court Inn & Conference Center is one half mile on the left.